LaPew was found wandering the streets of Florida, sick and severely matted, and was taken in by a big shelter. 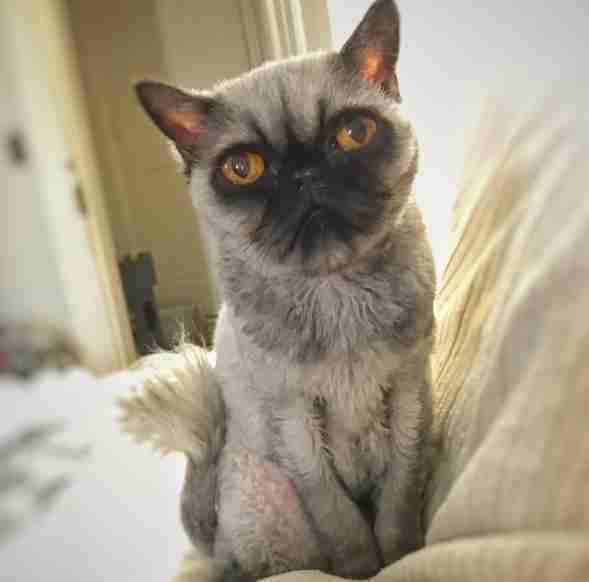 She was diagnosed with a severe urinary tract infection and Brachycephalic airway syndrome, and her fur was in such bad shape that rescuers had to shave her completely, whiskers and all. 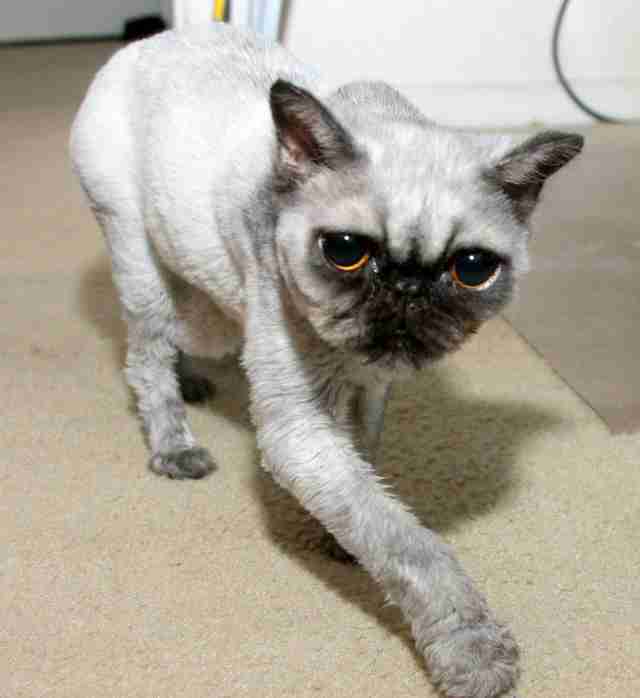 Once she was all shaved down and sans whiskers, the 5-year-old cat suddenly looked exactly like a pug. Soon, LaPew was pulled by another smaller shelter and placed into a foster home, where she soon met Jessica Lorman. 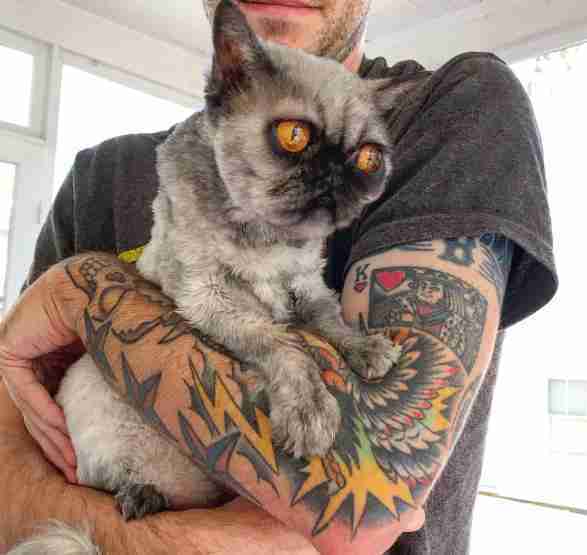 Lorman was in Florida visiting LaPew’s foster family, and immediately fell in love with the sweet, sickly cat — and realized LaPew was meant to be in her family. Despite LaPew’s grumpy, pug-like face, she’s actually the sweetest cat around, and adjusted to life with her new family almost instantly. 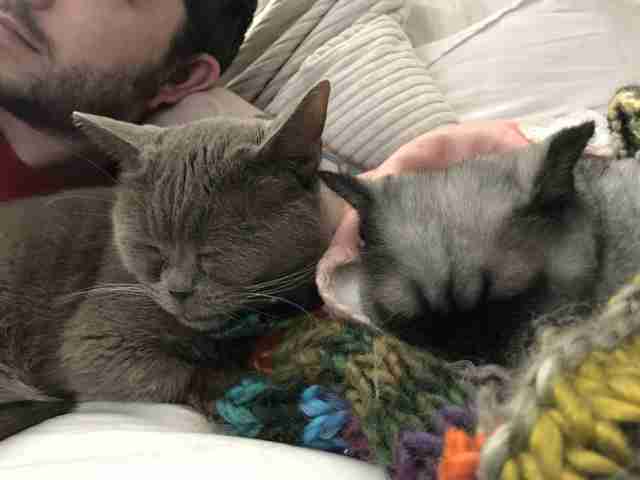 Her rescue cat siblings immediately welcomed her into the pack, and soon it was as if she’d been there all along. Even though she has a shaky past, LaPew is not at all skittish. She’s calm and relaxed around people, even those she’s never met before, and reacts a lot more calmly to them than they often do to her, as most people don’t believe that she’s actually a cat. 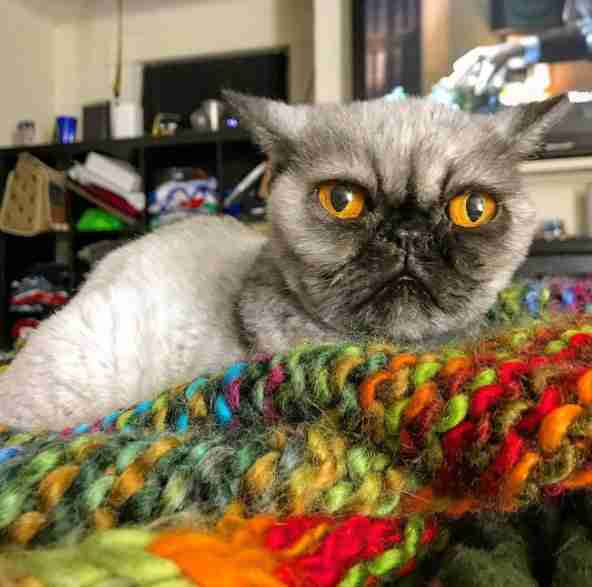 Most Persian cats are incredibly fluffy, but because LaPew had to be shaved down, her lack of fluff and whiskers make her look more like a weird pug than a cat, and everyone who meets her immediately wants to know what she is. Her mom always explains that she’ll be fluffy again very soon, and her whiskers are already starting to grow back, but for now her appearance is earning her lots of extra attention — which LaPew is totally OK with. 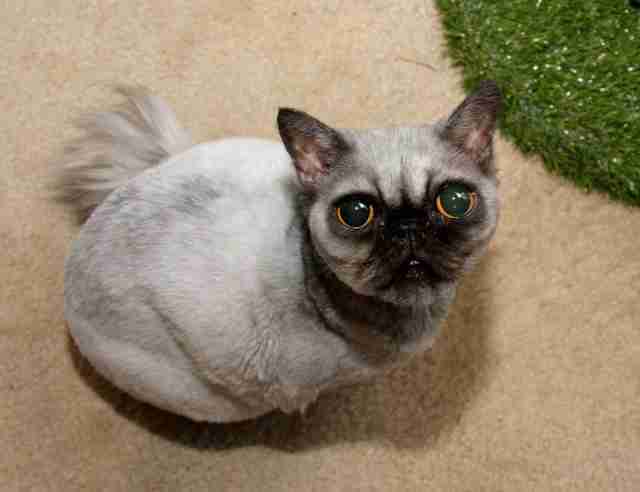 “I promise she is a Persian and not some pug/cat hybrid,” Lorman said. From her appearance to her illnesses, LaPew had a lot stacked against her when she first arrived at the shelter. Luckily, she found a family who was able to look past all that, and accept her for the perfect little pug cat that she is. You can follow LaPew and all of her adventures on her family’s Instagram account.